- Publisher A contribution to the renaissance of catechism. Investigates the meaning and history of catechizing and outlines practical considerations and steps for productive catechizing. 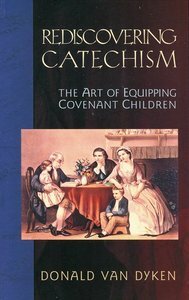 A contribution to the renaissance of catechism. Investigates the meaning and history of catechizing and outlines practical considerations and steps for productive catechizing. Van Dyken is pastor of the Orthodox Christian Reformed Church of Sunnyside, Washington, and has been an avid teacher of catechism for over twenty yers.